My little cottage industry came to be after my daughter’s wedding in 2012. She was wed to her beau at a cute little bandstand in historic Guildford. We needed some decorations to make the bandstand look more like a wedding venue, but being a public place the decorations needed to be quick to put up and take down with minimal fuss, and so, colourful bunting was the solution. 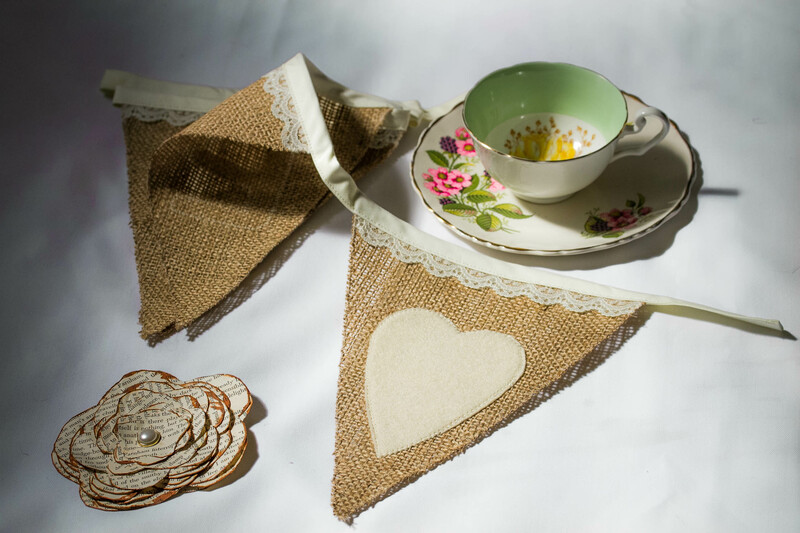 Of course it didn’t stop there, before long I was making vintage bunting for the bridal table, bunting banners for the candy buffet and even made table numbers in the style of little bunting flags. Everything that could be handmade for a wedding – I ended up making it! At the wedding I received so many lovely comments that my daughter said I should go into business, and so, Mrs F was started and I’m loving creating bunting for weddings all over the world.